Expedia has some excellent Timisoara travel packages ready and waiting. Combining your flights and accommodations is one of the most straightforward ways to save money on your adventure. Book now on Expedia and save up to 59%*! It's that simple! With more than 400 partner airlines and 321,000 properties worldwide for you to pick from on our expansive database, you'll be heading off on your holiday in no time! Getting fired up about your trip to Timisoara? Need some tips about what to do and see when you're there? That's where we can assist! Timisoara and Piata Uniri are often spoken about in the same breath. A trip here simply wouldn't be complete without checking out this famed attraction. When it comes to well-known attractions, it's hard to go past Romanian Orthodox Cathedral. Why not organise your day around it and find out why it's loved by so many vistors? Iulius Mall is the place to head to if you're ravenous. Follow the yummy smells to the food court and you'll be chowing down a meal in no time! There's a fabulous range of things to do in this destination. Inquire about visiting hours at St. George's Cathedral. While you're here, why not take some time to bow your head and enjoy some personal reflection. Still got time to spare? Countless notable entrepreneurs have frequented the magnificent halls of Politehnica University. You just can't leave the region without exploring this time-honored education institution. Have a go at all there is to see and do and head home with the best souvenir of all — fond memories of your incredible trip! Before heading home, why not look into trying out a Romania : Private Day Trip to Timisoara from Belgrade? It's an excellent way to spend your time. 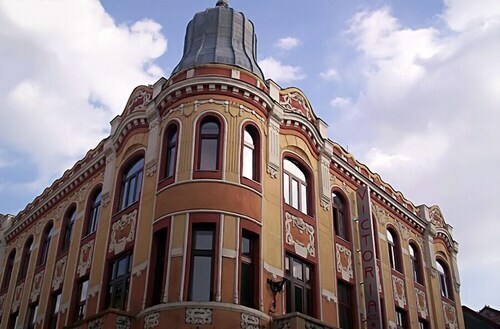 For even more options, head to our Timisoara things to do page. 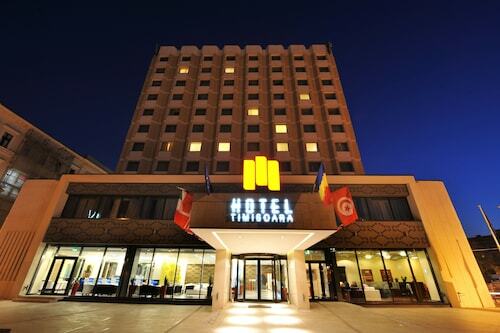 Expect an excellent variety of accommodations when you visit Timisoara. With 24 properties available, it won't be too difficult securing a comfortable place to stay for your cheap holiday or luxury getaway. Out top picks are the Perla Hotel (Str. Protopop George Dragomir, 9) and the Boutique hotel Casa del Sole (Strada Romulus 12). They come with terrific reviews and first-rate amenities. Timisoara is the home of Piata Uniri. 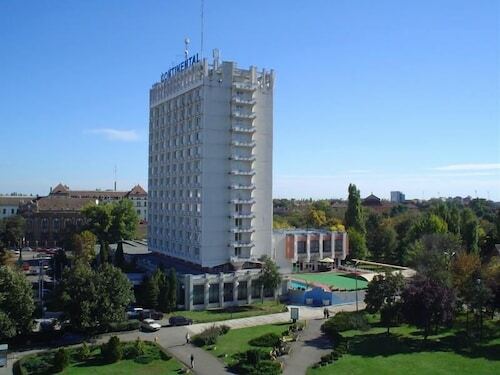 If you want to stay within a stone's throw of this iconic attraction, the Hotel Timisoara is just 0.3 miles (0.5 km) away. Equally popular is the North Star Continental Resort, just 0.2 miles (0.3 km) away. 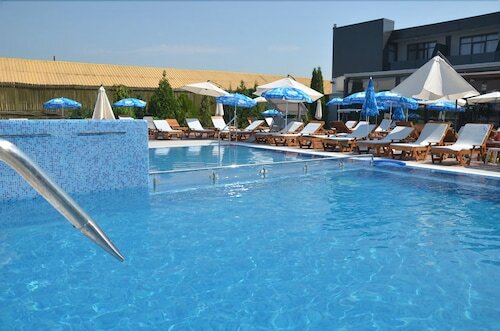 Getting ready for your trip to Timisoara? Wondering where you'll be flying into? Traian Vuia Airport (TSR) is the closest terminal. Once you've unbuckled your seatbelt and walked out of the arrival gate, you'll be 5 miles (8 km) from all the main streets. Stroll through this plaza, which provides access to the city’s catholic church, the Baroque Palace Art Museum and several architectural landmarks. Nestled between the striking façades of Timisoara’s opera house and main cathedral, this historic square is a popular haunt for coffee lovers and romantics. Admire the mosaic roofs, multi-faceted architecture and religious paintings of this towering cathedral, which has become an iconic sight of Timisoara. Great location right at the main square. There is even a Starbucks here! In center, near the main squares. The room is big, nice and with a beautiful view. We liked the spa, very clean and relaxing. Very good breakfast. The hotel has AC and fast elevators. I recommend it. Very nice hotel with free parking. Hotel Victoria is in an excellent location and within walking distance to the three Old Tiwn Squares. It was great!! Just need to fix the patio door in the bedroom. Almost fell in on us. Nice hotel with good facilities (except for the dirty/spotted carped) with very nice staff. Unfortunately the surrounding area of the hotel is depressing, it looks like a abandoned city. No shops for kilometres, not a restaurant, not a terrace. Perfect hotel for travelers.